• Using democratic processes to carry out and enforce the Principle, including the public right to informed consent. 1Canadian Institute of Child Health. The Health of Canada’s Children and Youth: A CICH Profile. Guiding Principles. https://cichprofile.ca/about-the-profile/guiding-principles/– accessed March 12th, 2017; The Health of Canada’s Children: A CICH Profile, Third edition, 2000. Canadian Institute of Child Health: p. 255. 2Raffensperger, C. 1999. 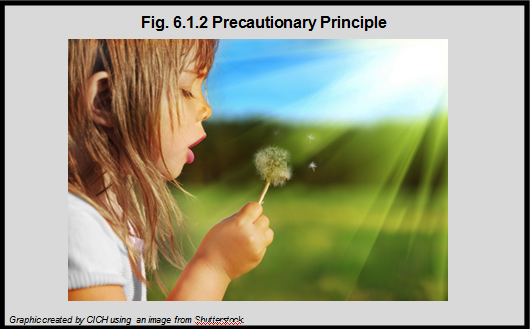 Protecting Public Health and the Environment – Implementing the Precautionary Principle.